A place to play, a place to sleep, a place to meet friends and a place to eat. 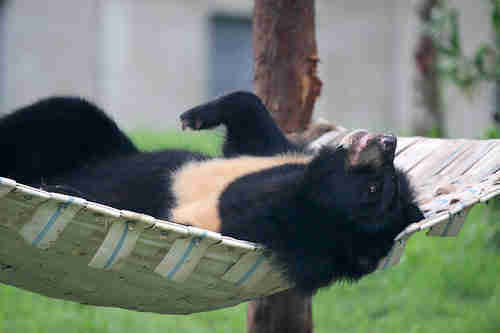 Hammocks are an essential part of the furniture at Animals Asia's bear rescue centers in China and Vietnam. 1. 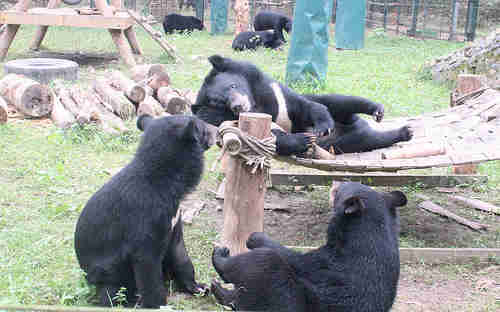 Being orphaned at such a young age leaves cubs scarred and traumatized. 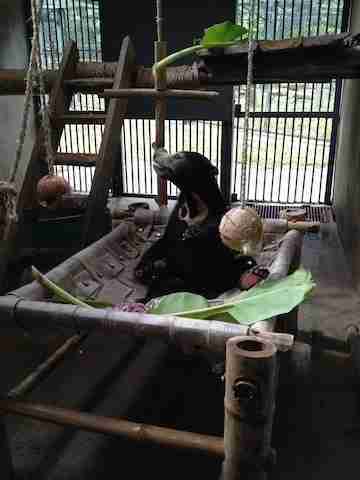 Their first den with their first hammock is where we start to try and build them a new life. 2. 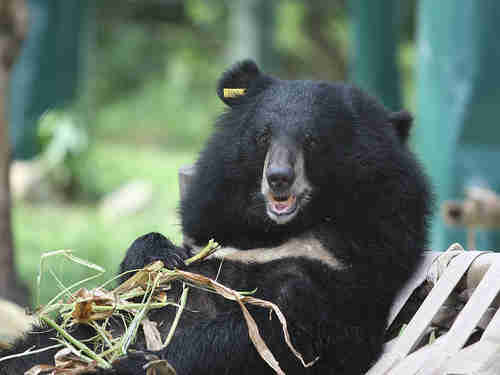 As cubs become juveniles we aim to integrate them with bears of a similar age. A hammock becomes a magical meeting point and a place to forge friendships that will last years. 3. 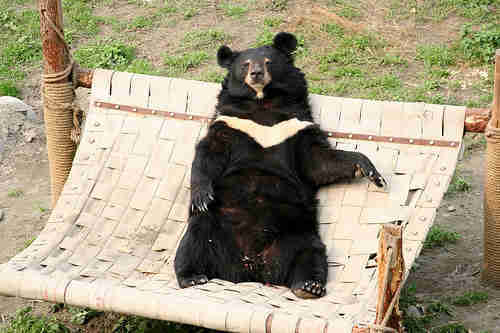 And if friends aren't around, the hammock provides a handy vantage point from which to spot them. 4. A hammock is also a fantastic place just to watch the sky. 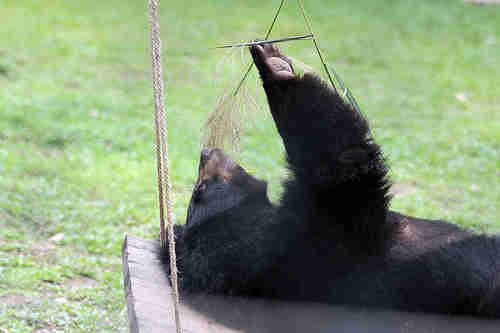 After caged life, rescued bears often appear to be amazed by the enormity of it. 5. 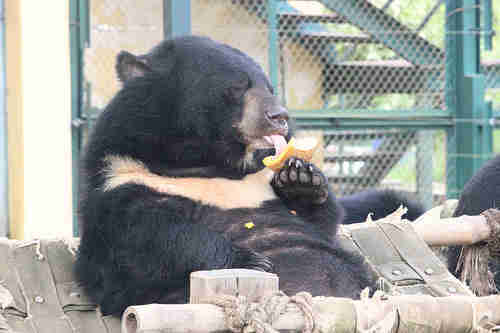 After a while, the traumas that bears arrive with hopefully slip away. 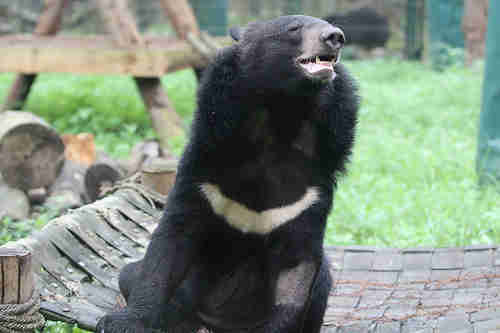 When a bear can literally take time out to smell the flowers we know he has few troubles left. 6. Of utmost importance is food and it's plentiful and varied. It's spread around to encourage foraging but there's nothing stopping a bear taking it back to their hammock for breakfast in bed. 7. And don't forget "browse" - leaves and branches - which can be a blanket or a toy. 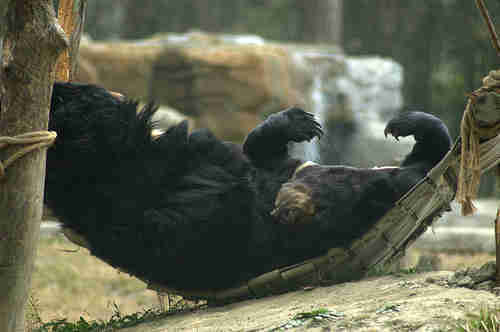 Browse is a bear necessity and it often adds to hammock comfort. 9. ... Or a place for snoozes and snuggles. 10. 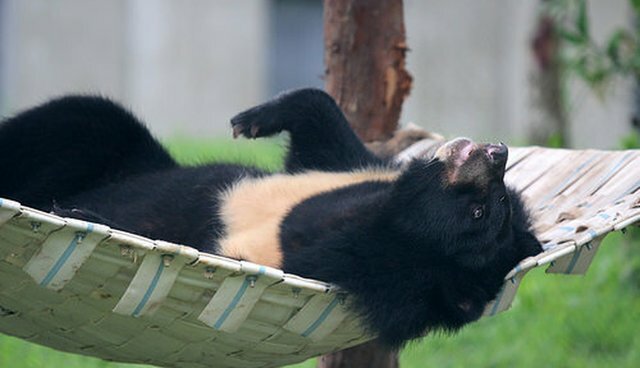 A rescued bear can be truly happy in a hammock.